I love working with companies and building relationships with them. 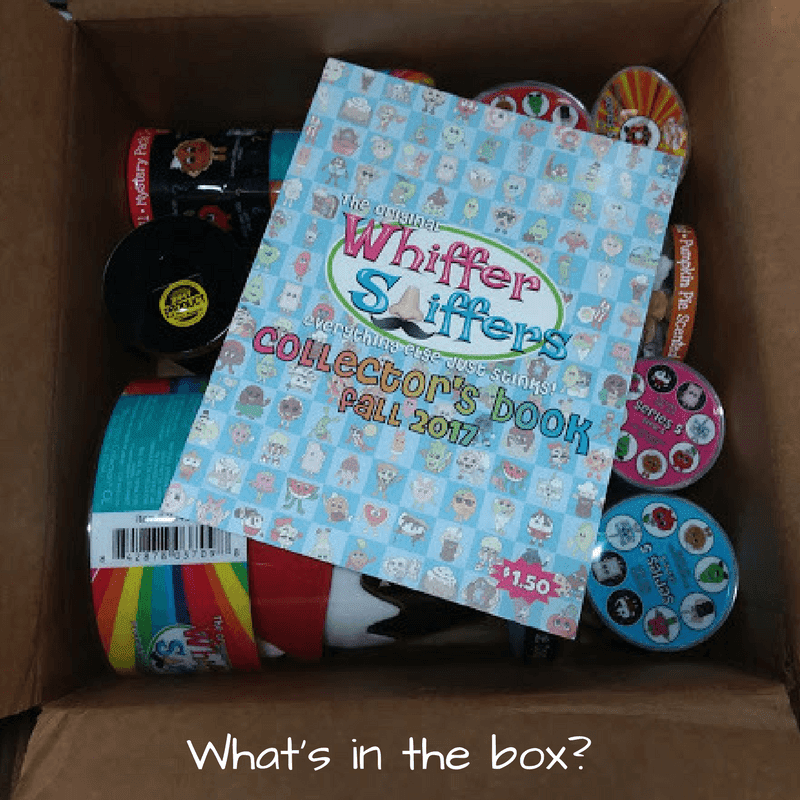 We have some really awesome stuff to show you from Whiffer Sniffers! I am so excited about this.We heard of them about six months ago and fell in love with them. Whiffer Sniffers, are smell good plush creations that are fun for everyone. We have Series 5 backpack clips and a Super Sniffer. I am just so excited about these. 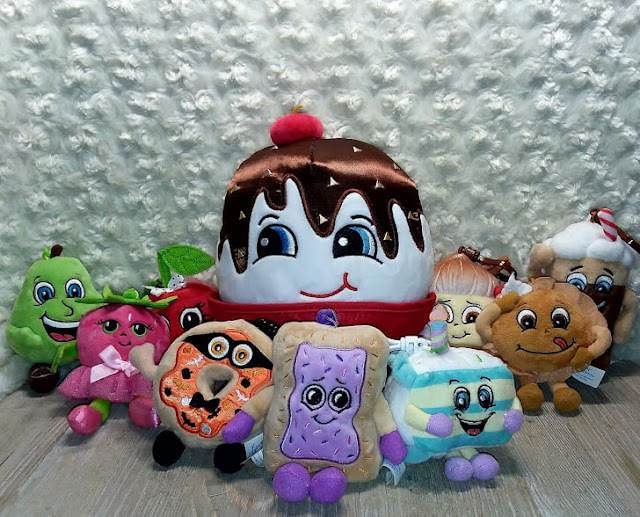 Mr. Fudgentop is an 11-inch tall pillow that smells just like a fudge sundae. He has a melted chocolate with a cherry on top head, and his pants are a red felt and it looks just like a serving dish! The clips are all approximately 4 inches tall and have arms and legs to make them all look like real little people. Their clips are easy to use and very sturdy. My youngest daughter still has her clips from series 4 attached to her backpack. They keep their scent for a long time. She has only had hers for about 8 months but they still smell really good. This set is so awesome. We received 2 mystery boxes in this set. We got a Ben Toasted and another Strawberry Twirl. I just can't get over how cute these are. 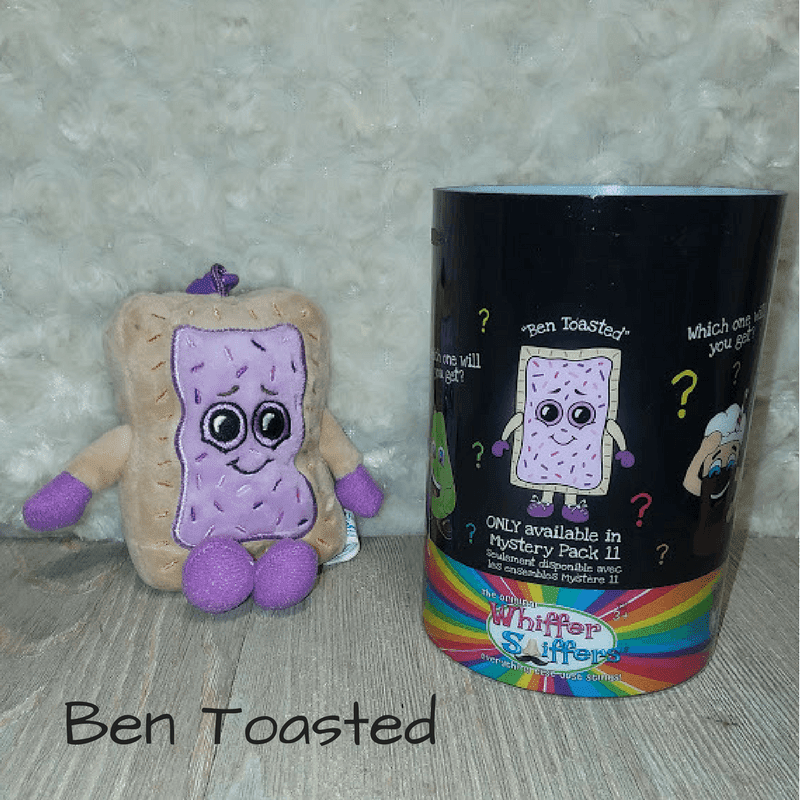 Ben smells just like a jelly-filled pastry! I can't believe how they get the scents so accurate on these little guys. I love this new series. The themed scents plus the other fruity and foody scents make for a great series. The Pumpkin Pie and Pumpkin Spice scents are delicious! Birthday Cake Jake smells just like an angel food cake I just want to bite him!! Ed Nog smells just like Christmas in a cup/on a clip. 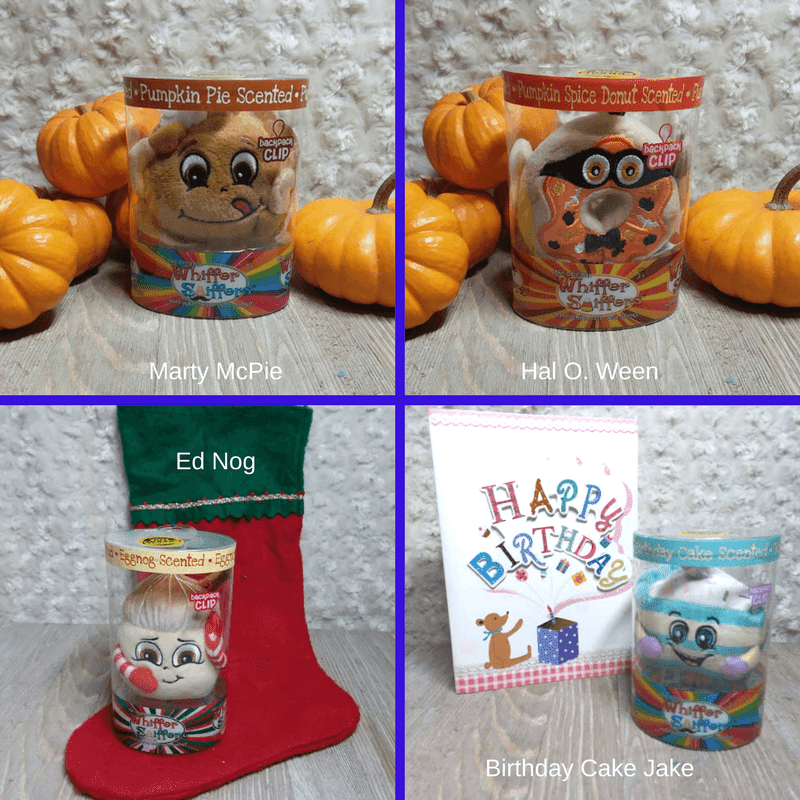 Birthday Cake Jake, Ed Nog, Marty McPie and Hal O. Ween are perfect gift clips. They all are but, these are holiday themed ones are great for celebrating with as well as gifting. The kids love getting into and celebrating the holidays with me. Having the clips to decorate their own personal space is cool too. These super happy faces I can't help but smile back at. I received this for free to facilitate this review. If you have any questions please feel free to email us directly at [email protected] or [email protected] We love hearing from you! !